The safest and easiest way to pay & collect rent online! Autopay means rent always gets paid on time. No paper checks and simplified dashboard, viewable from any device! Encrypted payments processed as Level One PCI Compliant, the highest information security standard. Want to rent your house? Search thousands of up-to-date property listings on our easy-to-use website. Narrow down your options by choosing the refinements that are most important to you, such as number of bedrooms and bathrooms, price range, location, pet policy and more. 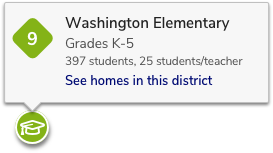 And if finding the best school for your children is your number one priority, search for rentals within your selected school district or neighborhood. Need help listing your house? Are you new to the house rental market? Or maybe you just didn’t have a good experience with your last listings. Either way, we’re here to help. Our step-by-step onboarding process makes placing your ad a snap. We’ll even give you a few tips on how to increase your views and get that house rented ASAP.